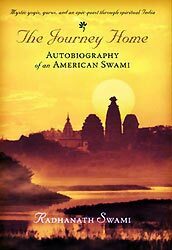 Richard (now Radhanath Swami) wasn’t even a teenager when he enquired from his Rabbi the meaning of the prayers he was being taught. The Rabbi was overwhelmed by this sincerity and tears welled up in his eyes. Most people don’t pray. Many who do aren’t aware of the meaning and goal of these prayers. Radhanath Swami is teaching us even as a young boy that we should invest our feelings and emotions into the prayers we offer. A prayer session should not be an empty ritual; it’s also not to be a parrot-like repetition of some chants or verses; instead we are supposed to offer our heart to God. Although the scriptures of all religions teach us the art of praying, many followers have focused on the externals of these religious rituals. As a result, the world has seen wars and conflicts based on externals of religion. Radhanath Swami has focused on the essence even as a young boy. 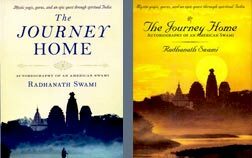 Radhanath Swami explains that there are essentially four levels of approaching God. At the lowest level is the practitioner who approaches God out of fear. A little higher motivation is to worship God so that He bestows blessings and pleasures on us. The third level is a little higher religious system which invites its followers to worship God out of a sense of duty and obligation. While the fundamental elements in each religion play the card of fear and reward, the authentic spiritual paths emphasize on serving God out of duty. However the goal of a genuine spiritual path is to take its followers a step higher, to the fourth level. The final goal of a true spiritual path is to help the practitioner reestablish his/her dormant, uninterrupted and unmotivated loving service to God. Love is the highest aspiration of a seeker of God. 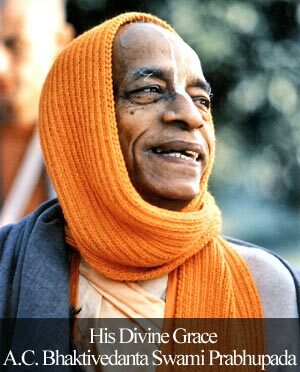 Radhanath Swami has always held sacred the aspiration of a spiritual seeker to love God and not want anything material in return. This kind of prayers, Radhanath Swami says fills the heart with the highest spiritual bliss-pure and free from any material contamination. The final goal of a true spiritual path is to help the practitioner reestablish his/her dormant, uninterrupted and unmotivated loving service to God – wonderful advice!